I've always loved going to school. I probably fall into your stereotype of an asian girl - good student, quiet, well-behaved, sat in the front, excelled at math, a little nerdy, etc. I'm cool with that stereotype, proud actually. Those stereotypical traits are still very prevalent in my personality today (except I'm not as good at math anymore, I blame that on calculators). I'm also still a sponge for knowledge and love learning new things as much as I can. This blog has been the perfect outlet for me to do that, so I thank you for helping me make it possible. I've been wearing this drop-waist Topshop jersey tunic dress with slip-on sneakers from H&M every week (maybe a little more). One doorman from my building probably thinks it's the only thing I own since I seem to be wearing it every time he's working. If you're in DC, it's likely you'll see me wearing this to the grocery store or at the Farmer's Market. 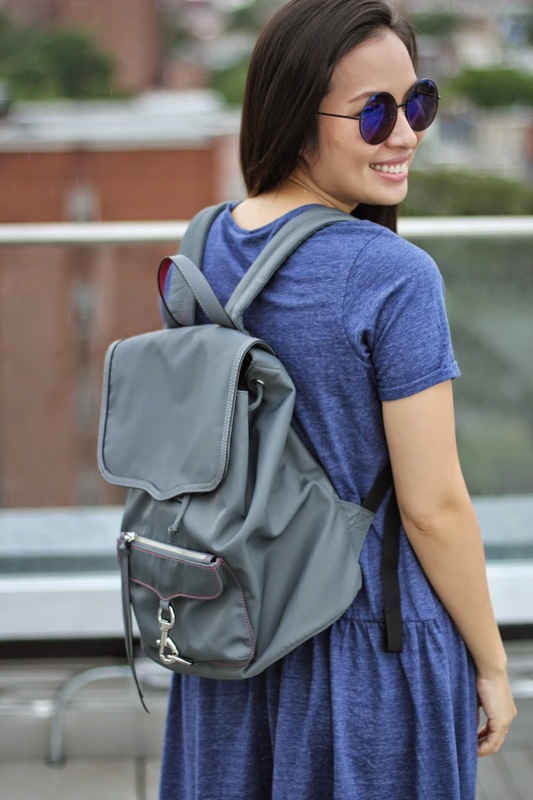 I'm also loving backpacks (and being handsfree) and expect to see a lot of backpacks this Fall. How about you? Did or do you fall into any high school stereotypes? Assignment Writing in Australia that put you 1 level up by hiring our assistance in this regards. Our online assignment experts are available always to assist you in your assignments by Student Assignment Help.